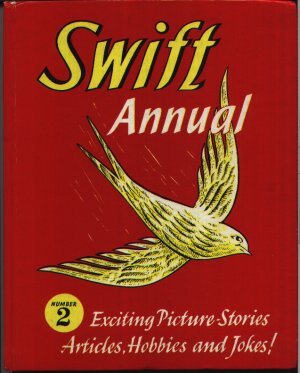 Swift Annual 2 again has a good mix of cartoon strips and stories for parents to read to their your children. As in the first annual there are a few extra strip cartoons that did not get a mention in the contents - I guess they ran out of room ! Dimensions : 21.5cm x 26.5cm with 133 pages. Go big-game hunting - with a camera !